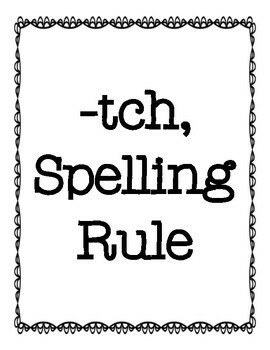 This freebie contains the anchor chart for the -tch spelling rule. 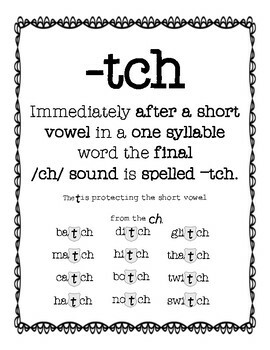 This resource contains the -tch spelling rule anchor chart, a -tch spelling rule word sort, and a -tch spelling rule check list table to practice this skill. This resource contains the -dge spelling rule anchor chart, a -dge spelling rule word sort, and a -dge spelling rule check list table to practice this skill. This resource contains the -ck spelling rule anchor chart, a -ck spelling rule word sort, and a -ck spelling rule check list table to practice this skill.